Cointorox is a comprehensive cryptocurrency ecosystem consisting of a digital piggy-bank, token exchange, token faucet, merchandise store, airdrop-central, and a blockchain gaming platform. What is the Token Contract Address for OROX? How is Cointorox Token (OROX) used? Cointorox Token (OROX) is a utility token primarily used to activate and deactivate features of the digital piggy-bank. All tokens used on the platform as such are paid to us & we burn them on a daily basis. This ensures that the total supply of OROX continuously decreases. Cointorox Token (OROX) is a requirement in all savings portfolios. Meaning, when a user purchases a savings package, 20% will always be allocated to acquire OROX on the markets. This is to ensure that the user does not have to acquire OROX later on as he/she activates and deactivates a feature. OROX is also used as a form of payment for token listings on the exchange & the faucet. Additionally, OROX is used as a form of loyalty points and in-game currency on the merchandise store and the blockchain gaming platform. What are the main features of the digital piggy-bank? There are 9 main features of the digital piggy-bank. What are the fees involved with using Cointorox? When a user purchases a savings package, the average fiat-cryptocurrency conversion rates are automatically fetched and recorded from multiple different APIs (blockfolio, coingecko, coinlib, coinmarketcap). There’s no markup conversion fees involved. However, there are fees involved when a user decides to withdraw his/her savings (fiat or cryptocurrency). Withdrawal fees of “1.5% + standard blockchain TX fees” on all coin withdrawals. What coins & tokens does Cointorox support? How are user funds automatically converted and stored? When a user purchases a savings package, they are paying in fiat currencies (e.g. USD). Cointorox platform validates this payment and automatically records the value of coins – at time of purchase – and our team is notified. Our team will then allocate coins on our hot/cold wallets accordingly and provide you the addresses of your coins (for you to track them on coin blockchain explorers). Please note that no coins are ever transferred out of our wallets when a user purchases a savings package. We simply allocate the coins we already have (pre-acquired) into new addresses on our own wallets. Your coins are therefore kept safe by us on our hot & cold wallets accordingly. We transfer the coins out of our wallets, should you decide to withdraw your savings in coins to your own external wallets. How are user funds secured/protected? 1. 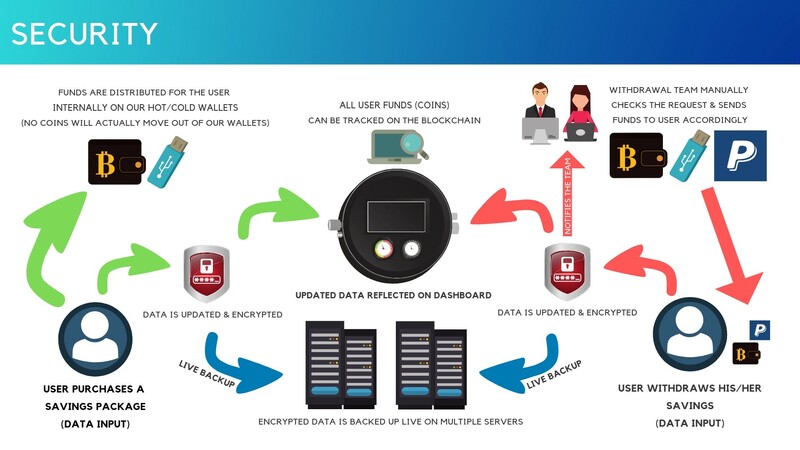 Cointorox has implemented industry-standard security features to better protect and store your data, including your funds. 2. It must be noted that any funds you convert, send, and receive via your account are mere data on the platform. 3. No actual money or coins are stored on the server. All coins are safely stored in hot (30%) and cold (70%) wallets. 4. All withdrawals are manually checked and approved by our withdrawals team on 24/7 standby. 5. All data will be encrypted and stored in multiple different servers with 3 different live data back-up systems. 6. When a user purchases a savings package & savings get converted into coins, the user also receives coin addresses to allow users to publicly track their funds. What are the advantages of acquiring cryptocurrencies using cointorox rather than through exchanges? Does the fixed portfolio recommended by cointorox include only the high market cap coins? The pre-selected portfolio is a custom selection made by the Cointorox team to ensure that you are relatively risking less. It is a selection of relatively less volatile yet highly regarded projects within the industry. This selection is subject to change according to the changing market/industry status. What are the differences between savings packages? Each package contains different cryptocurrencies crafted to meet its ‘title’. For instance, the ‘Conservative’ package is a perfect fit for those who wish to risk less whilst the ‘Bellwether’ package is perfect for those who wish to take some risks while enjoying the benefits of following/setting the trend. What is the mission and objective of Cointorox? Our mission is simple. 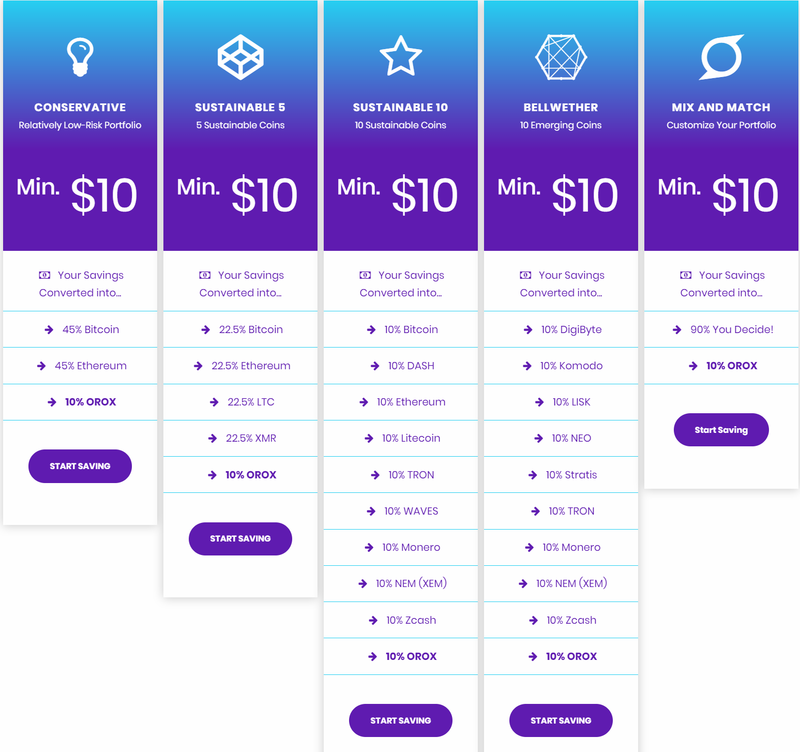 To simplify the world of cryptocurrencies (by offering comprehensive saving packages which decreases the overall time and effort required and spent in acquiring and understanding cryptocurrencies). Where is Cointorox registered in? Cointorox is registered in Tallinn, Estonia, with 2 main cryptocurrency licenses – Cryptocurrency Exchanges Service and Cryptocurrency Wallets Service. Cointorox is powered by xToken OU. Due to the nature of team members living all around the world, Cointorox operates globally on the internet. Although, the main office is located in Queensland, Australia. Who is the founder of Cointorox? What is the mission of Cointorox? What sort of partnerships will Cointorox be working on? How many OROX tokens were allocated for the team & advisers? Currently only 700,000 OROX are allocated for the team members. When will team tokens be distributed and how will they be used? Team tokens are distributed as soon as the token sale ends. There’s no particular locked-in periods. On a side note, majority of leon’s tokens will be used to fund user portfolios during the initial stages. (NOTE: All packages include 10% OROX as a permanent & fixed portfolio). This ensures that the company does not have to spend on acquiring OROX on the market with the initially accumulated funds, further stabilizing finances of the company. Essentially, the company is earning 10% fees on all saving packages sold until leon’s tokens are fully distributed/used. How will Cointorox earn revenues? Who can I contact for business & partnership inquiries? Please contact leon at [email protected]. What are the terms & conditions of joining Cointorox? What privacy policies does cointorox guarantee? By using this form you consent to Cointorox.com handling your data.